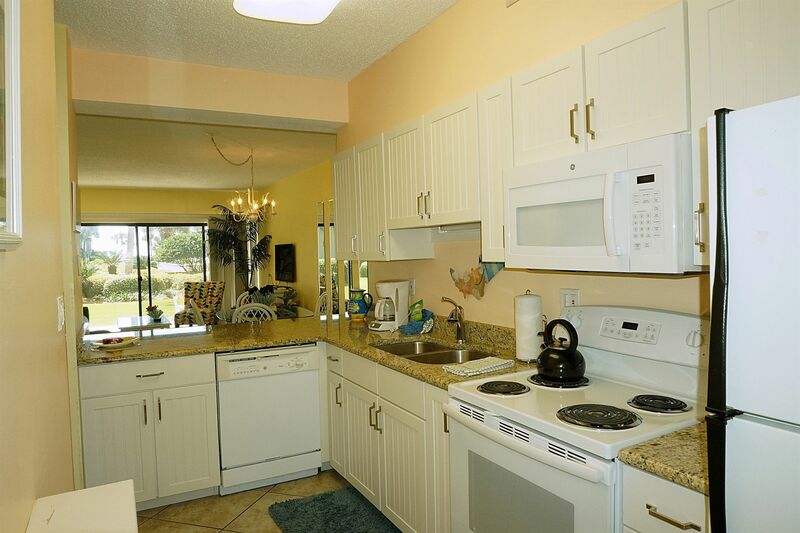 Gulf front, ground floor, 2 bedroom, 2 bath condo in a private, gated community with community pool and other amenities. 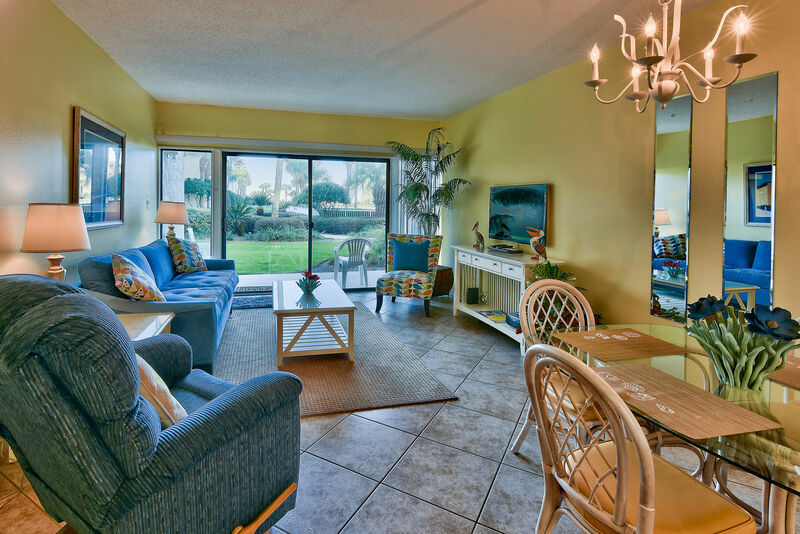 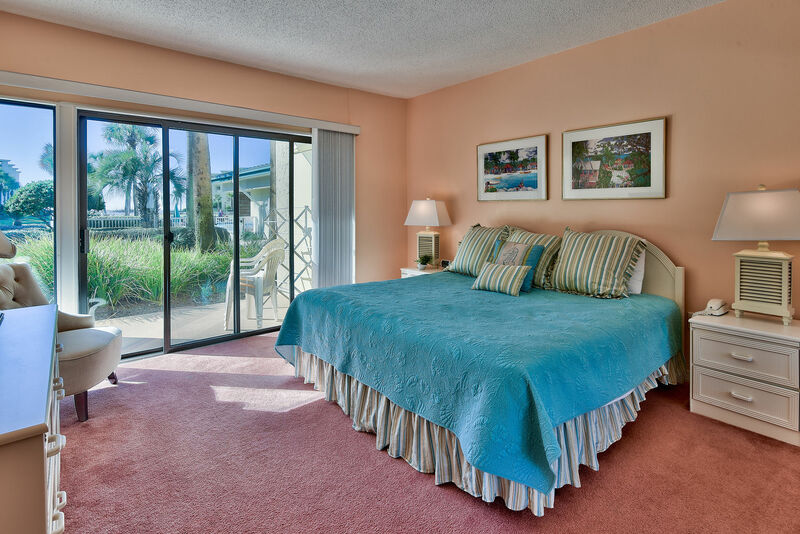 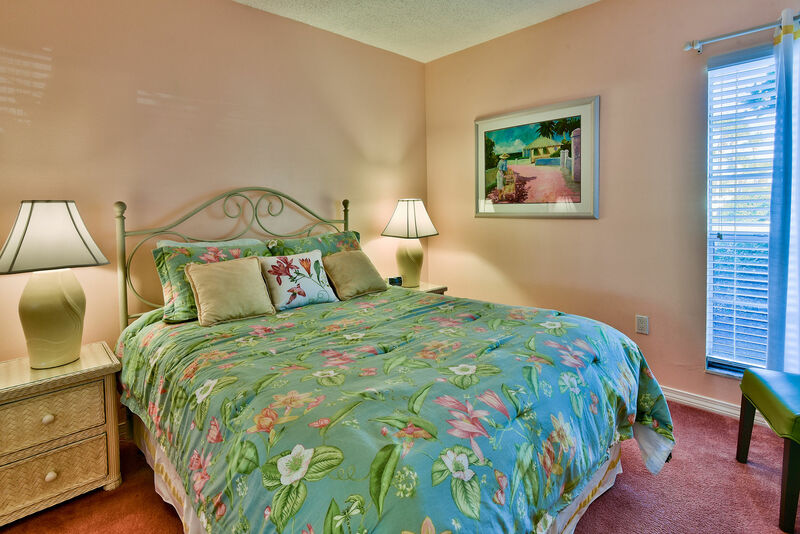 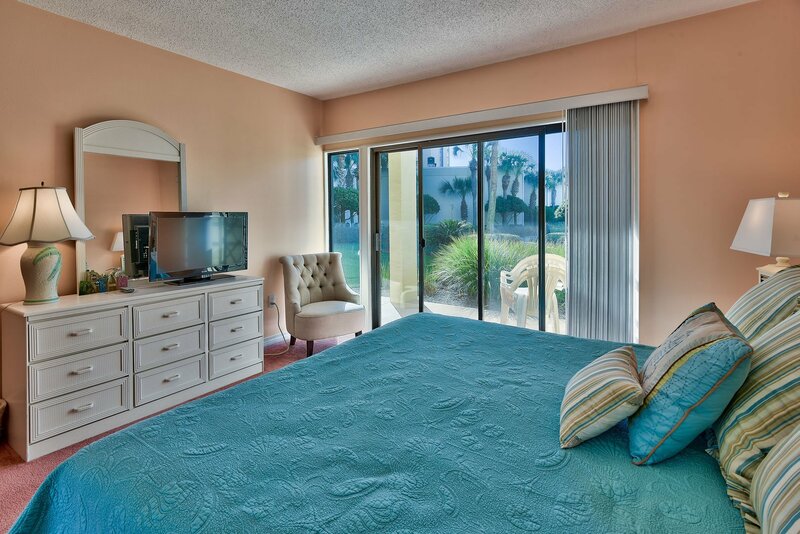 Silver Dunes #6 is located just yards from the sandy white beach and clear Gulf waters! 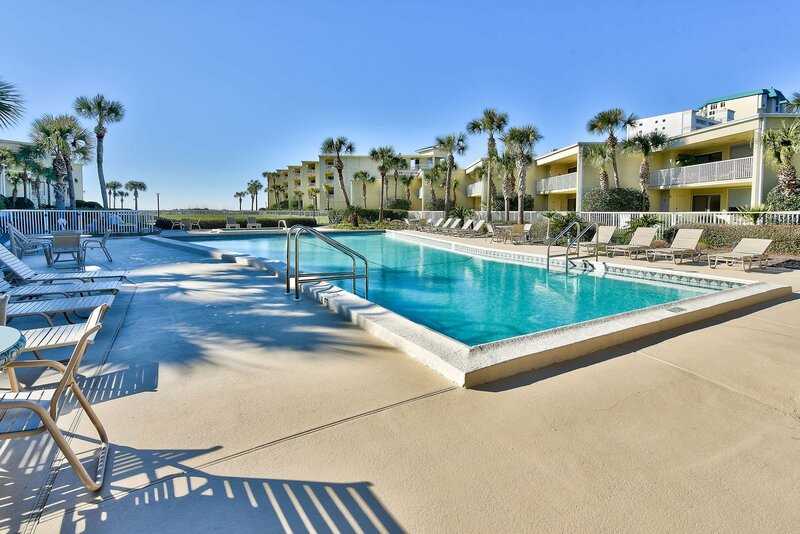 Enjoy the gorgeous clear waters of the Gulf and the sugar white sands from our condo in a family friendly gated community of Silver Dunes – the place where wonderful vacation memories – and traditions – are made. 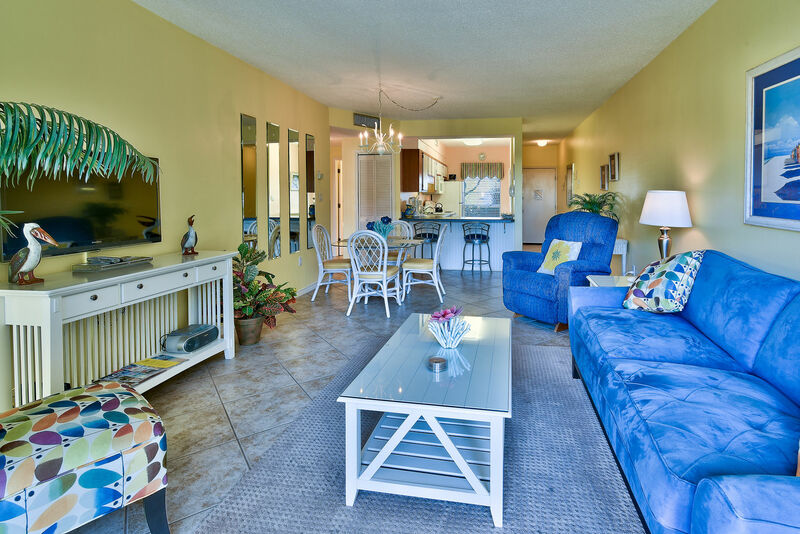 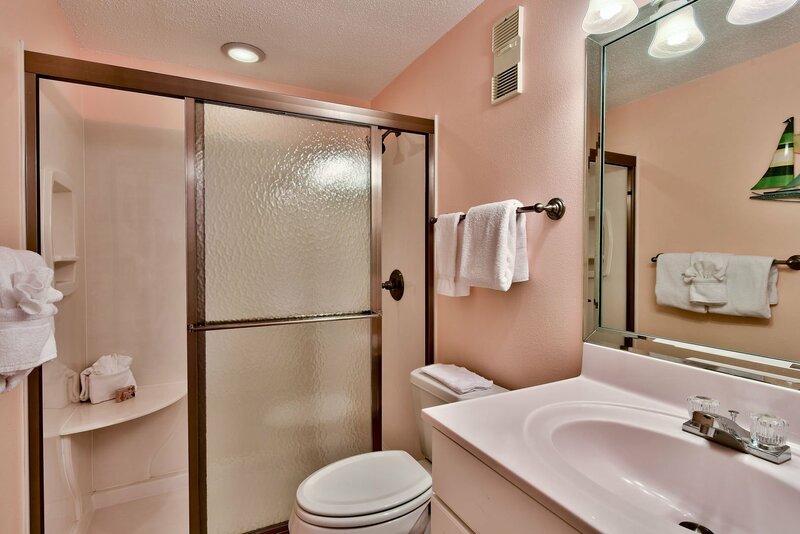 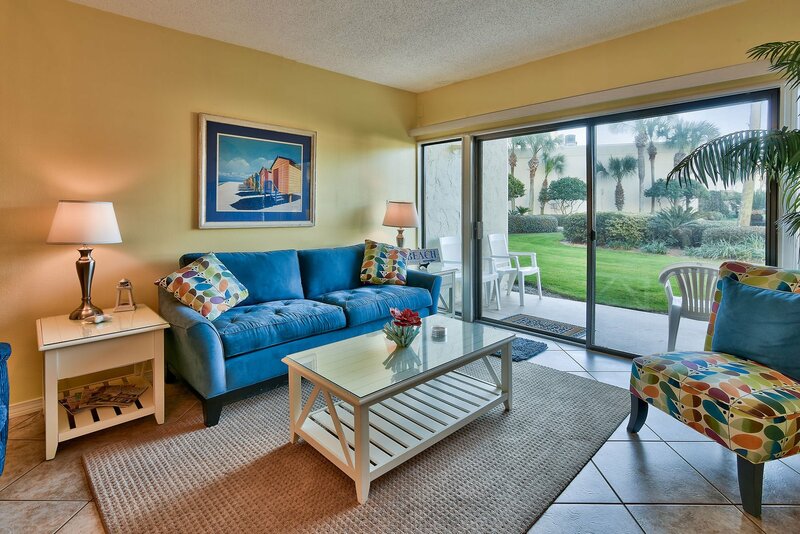 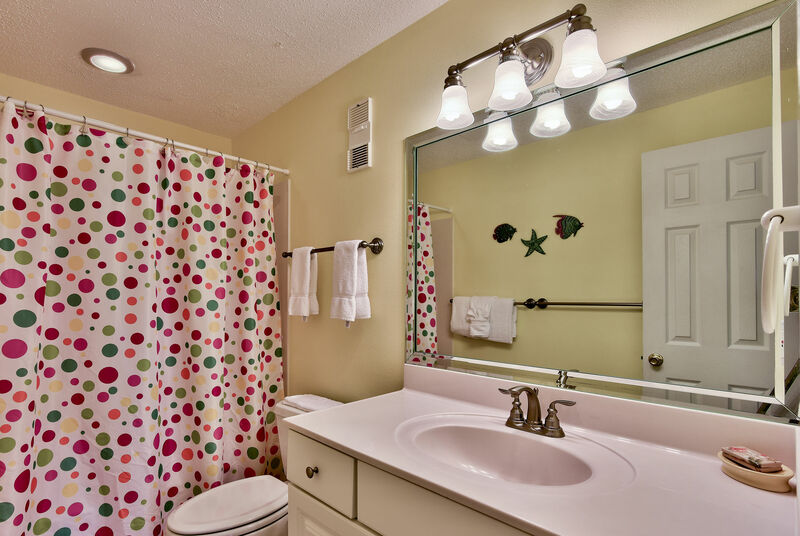 Our spacious 2 bedroom, 2 bathroom first floor condo is perfect for family and adults alike! 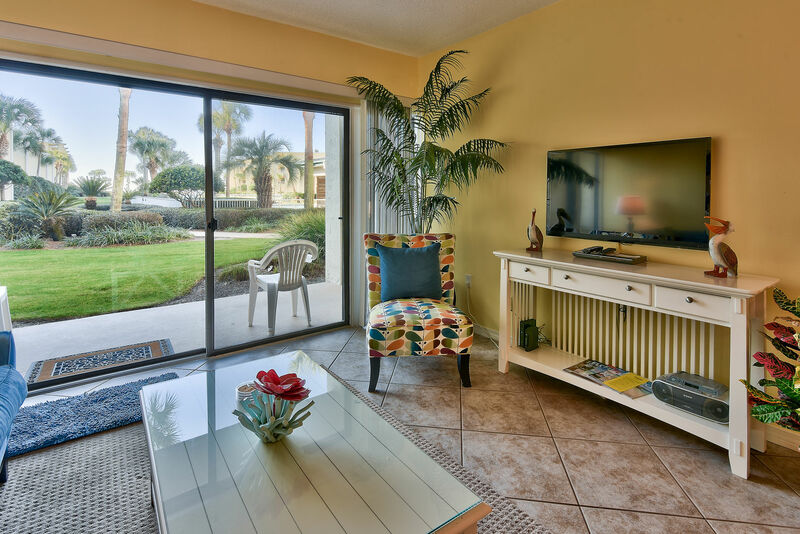 Parking is right outside the door for super convenience to your vehicle. 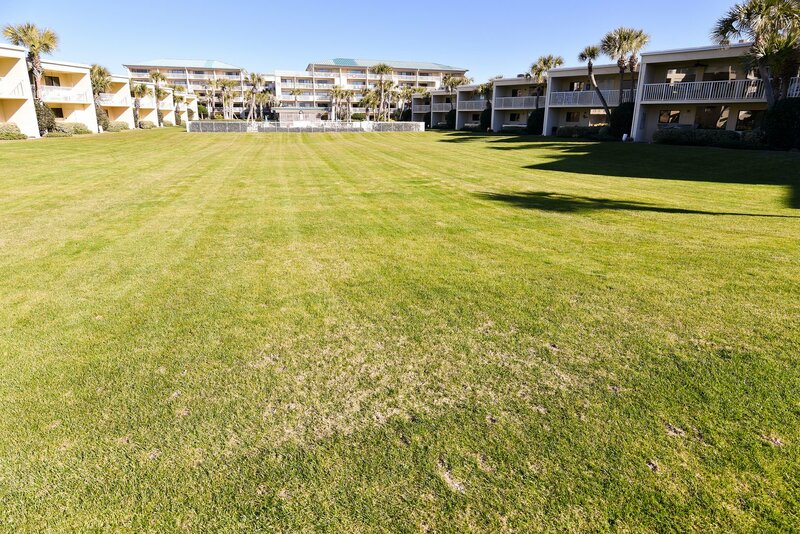 The beautiful landscaped lawn is right outside our door – easy for keeping an eye on the little ones as they play. 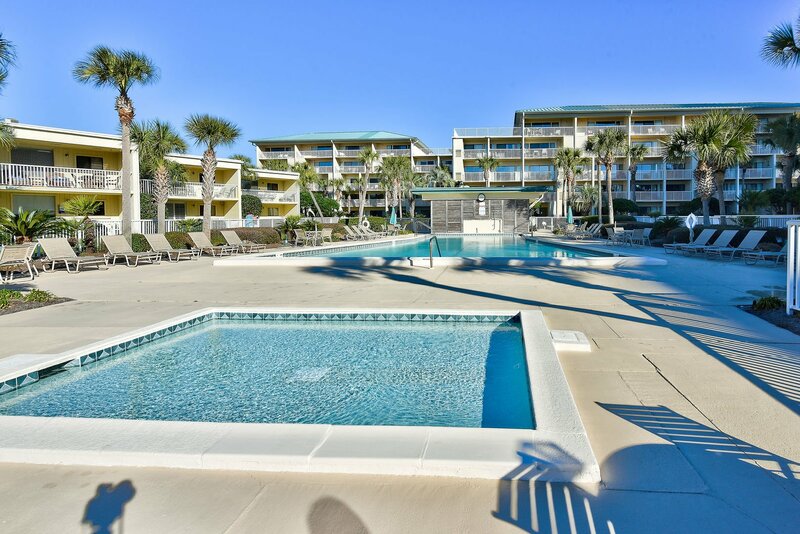 The pool and children’s pool are also just a few feet away with the beach (and first class beach service from George!) 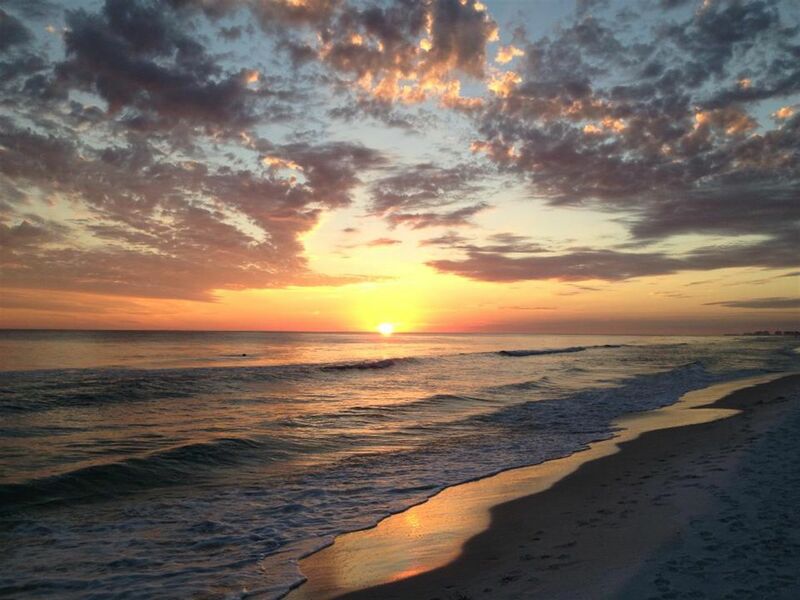 just beyond that. 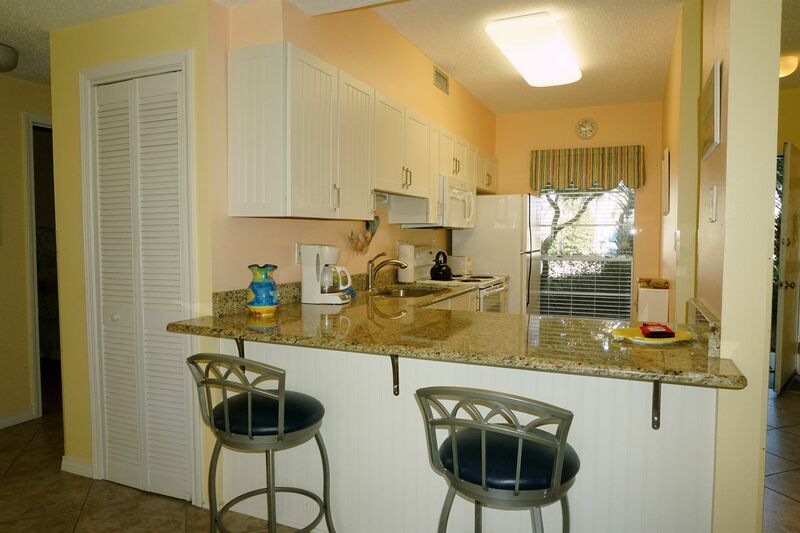 Our condo comes with flat screen TVs, fully stocked kitchen, and free high speed internet access. 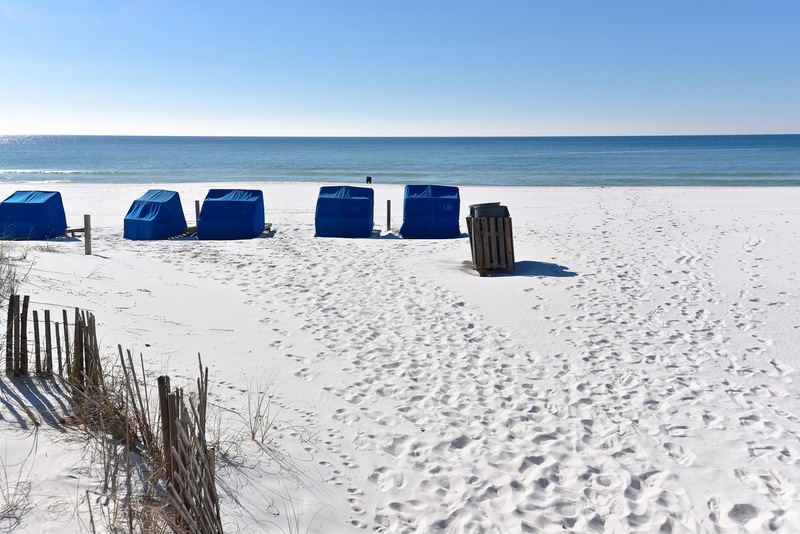 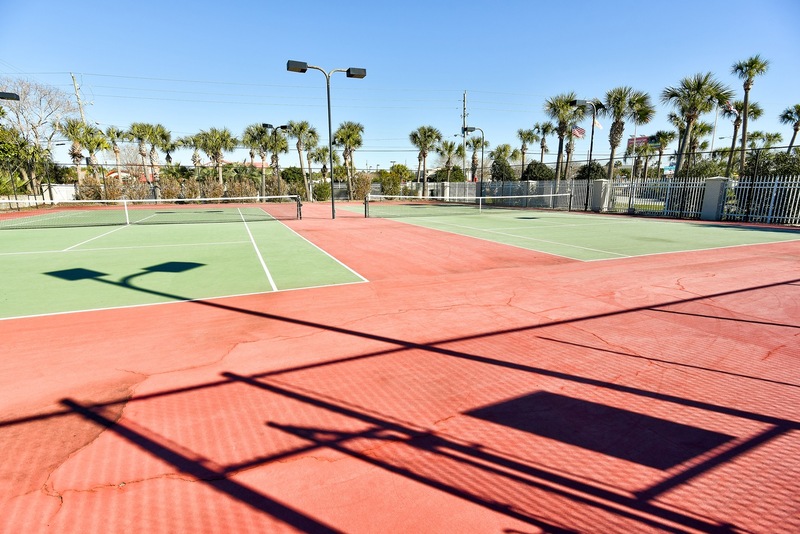 The Silver Dunes community is in a perfect location – right in the heart of Destin! 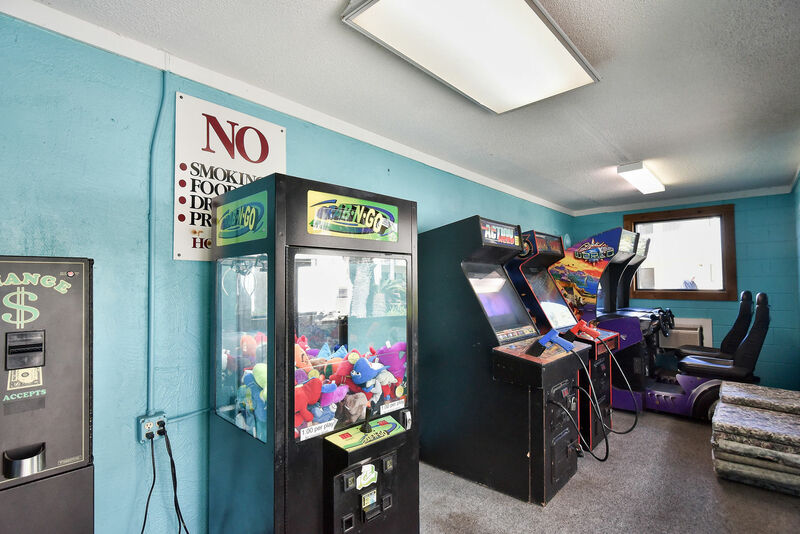 Enjoy the many theme parks in the area – including The Track Recreation Center, Big Kahuna Water and Adventure Park, and coming soon, the GI Joe Adventure Park. 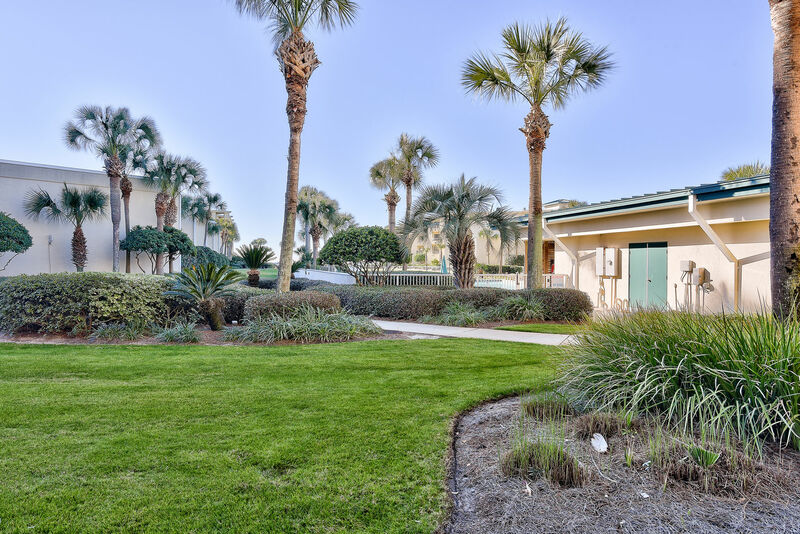 Lots of shopping complexes are within a few minutes (Destin Commons, Silver Sands Outlet Mall, HarborWalk Village, etc.). 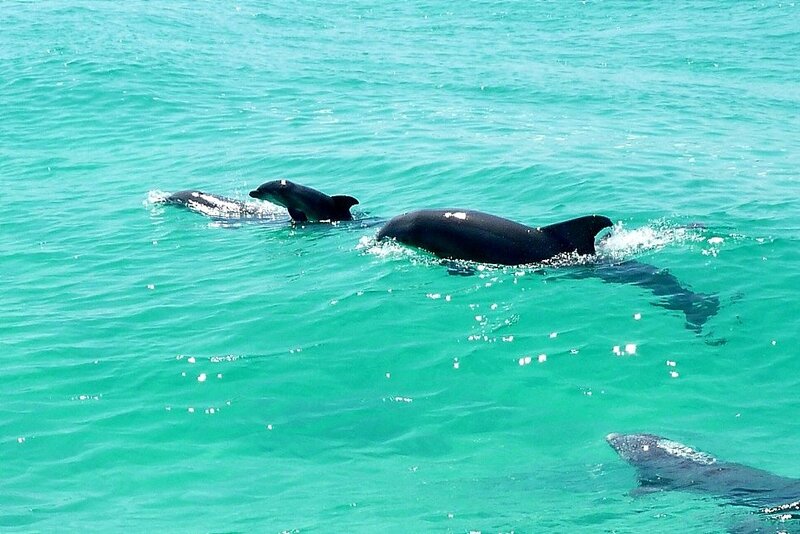 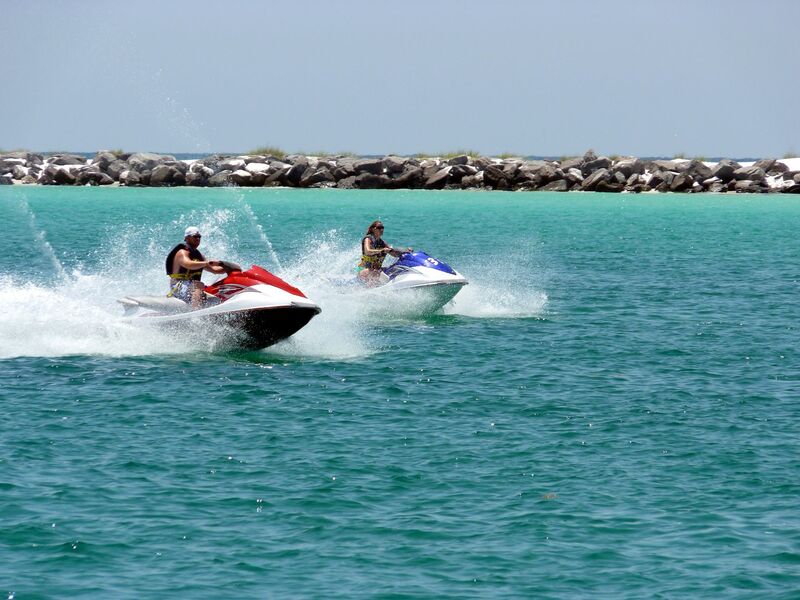 The Destin Harbor – with fishing charters, wave runners, ziplining, parasailing, and so much more! 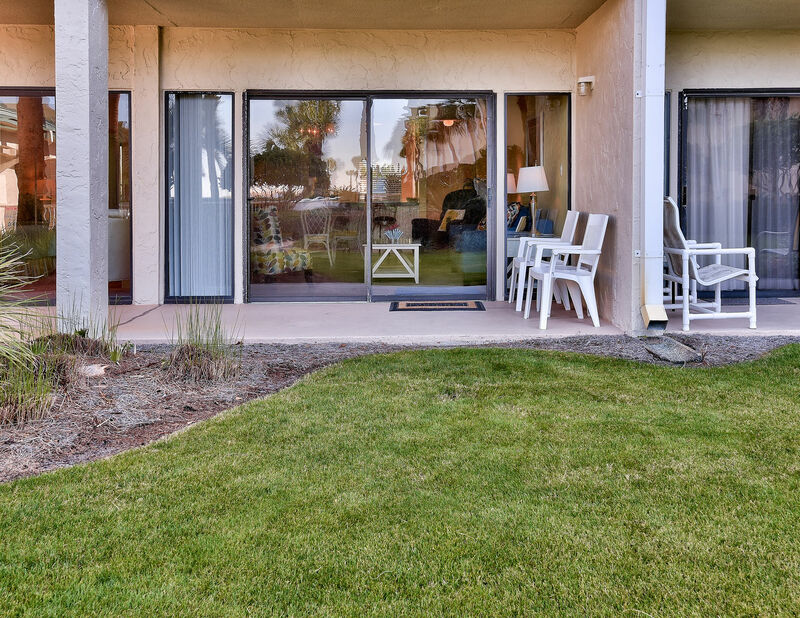 – is just 3-1/2 miles away. 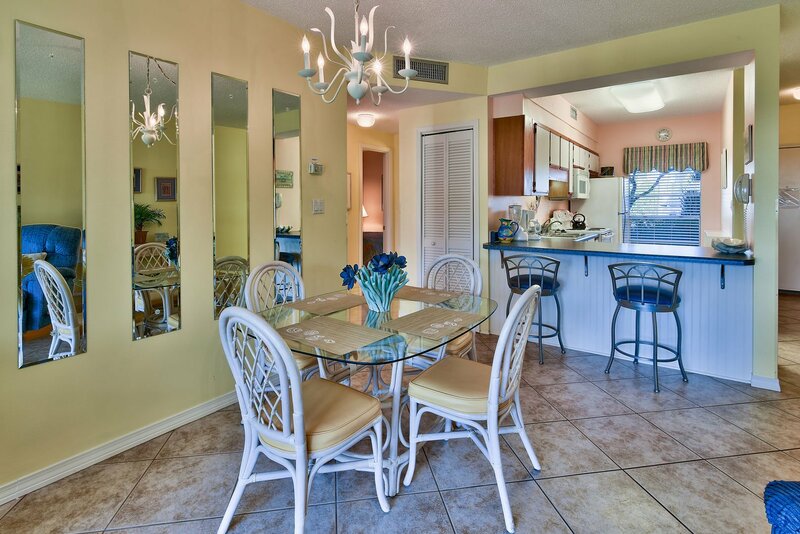 Enjoy the plentiful restaurants – from top notch to the quick bite – within a few minutes’ walk or drive away. 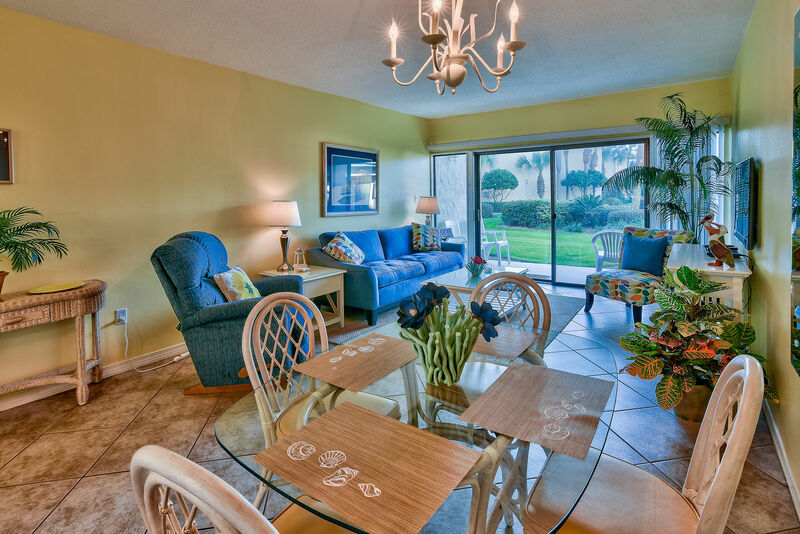 So many great ways to make wonderful vacation memories when you stay at Silver Dunes #6!